Welcome to Hip Hop Party by MIX.DJ the DJ's and DJ Mixes foremost application to listen to and discover thousands of new Hip Hop DJ's and DJ mixes worldwide with just one click at anytime. 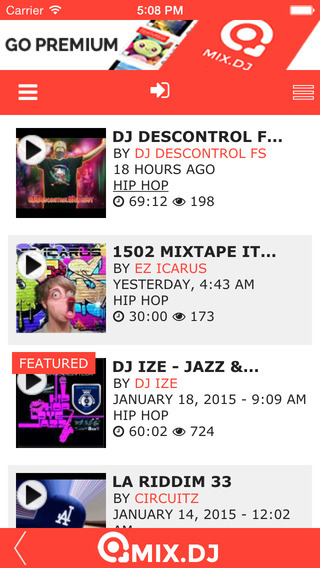 Registered users can log in and get free access to Hip Hop Party by MIX.DJ to discover and share music. Unregistered and new users can register for free in a snap to the Hip Hop Party by MIX.DJ application directly from their device and instantly get access to thousands of Hip Hop DJ's and DJ Mixes.